It is not unusual for artists to take inspiration from the world surrounding them. The best art often derives from a place of authenticity and offers a purpose to those receiving the artwork. It is no wonder that many artists over the years have used the buildings and structures around them as a canvas, to create an eclectic talking point whilst making art accessible to those that cannot get to a gallery. Below, Shirley Industrial Painters has listed three artists who create striking building art for the community around them. Our second french artist, Julien Malland, creates colourful and immersive street art across the globe. Malland, a.k.a Seth Globepainter, likes to draw inspiration from the environment surrounding him, often creating murals of children. Street walls and buildings become the canvas for his work as he travels across the world, meeting new people and shaping his vision to reflect the social, cultural and political issues of the area. Arguably the most famous of all street artists around today, Banksy has been creating building art since the early 1990’s across the United Kingdom. In his humble beginnings as a graffiti artist, Banksy quickly established a name for himself through his unique stencil artworks which often depicted a troubling social or political issue of the time. 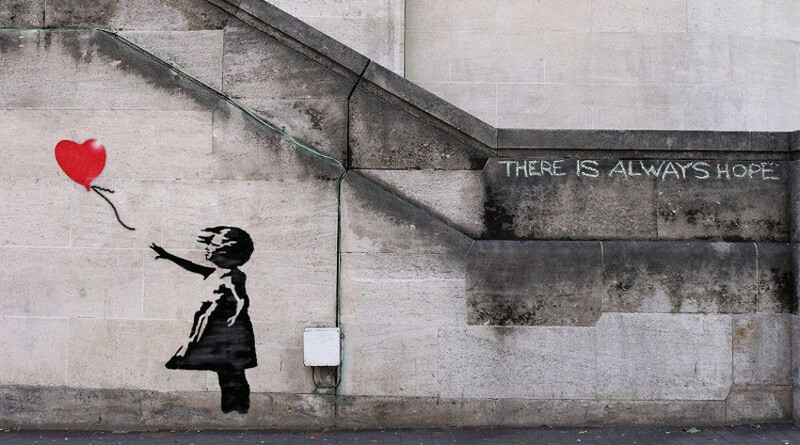 There is much mystery surrounding Banksy’s identity, which has yet to be uncovered despite various attempts. Although we cannot offer Banksy-levels of art, here at Shirley Industrial Painters we can provide a service that is highly skilled and knowledgeable. We fully comprehend the importance of creating a striking building for your business which is protected from a number of weather and erosion issues. Get in contact with the team today by filling out our contact form or by calling 03333 660 408 to discuss our services further.